As runners, we tend to put all our effort into our running training. One of the reasons why I believe I have yet to have an overuse injury in 6 years of running (including 5 marathons, countless half marathons and an Ironman) is strength training. I set my foundation up with P90X before I started getting into high mileage running and triathlon training and have continued to strength train over the years in various forms. My most recent obsession is 21 Day Fix because the workouts are short (30 minutes) yet extremely efficient, which is just what I need with limited time and a priority on running. Not to mention, strength training builds strong muscles that make our bodies look and feel better (and burn more calories when we’re not working out)- I’m sure most of us don’t mind that! People ask me a lot how I incorporate half marathon (and soon full marathon training!) into my 21 Day Fix routine. I’ve done a round of 21 Day Fix every month since April and I’ve maintaining a running base of about 25-30 miles a week. I’ve run one half marathon, two 5ks and have another half marathon this weekend. 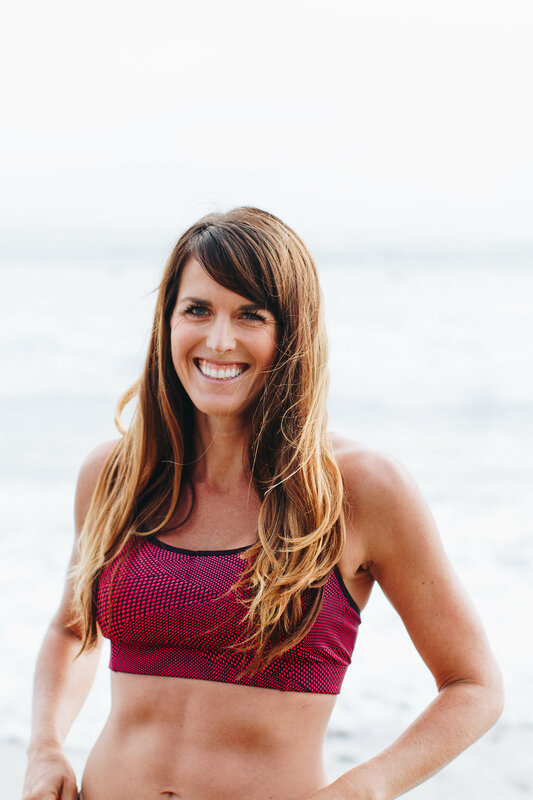 I’m running the New York Marathon in November and plan to continue to incorporate 21 Day Fix into my routine to ensure I’m getting much-needed strength training in. Adjust your calories. 21 Day Fix and 21 Day Fix Extreme come with a nutrition plan that put the average woman looking to lose weight into a calorie range of about 1,200-1,400 a day (you don’t actually count calories – you get allocated a certain number of color-coded containers which represent different food groups. If you stay within your containers, you’re within your calorie range. Simple as that!). This low calorie range is based on one 30 minute 21 Day Fix workout per day and an otherwise sedentary lifestyle. If you are running on top of this, you’ll need to add calories! I put myself in the 3rd level which is 1,800-2,099 calories. If you’re trying to lose about a pound a week, I think this range will work for most people. If you’re looking for more extreme results, you’ll probably want to put yourself in Level 2 (1,500-1,799 calories). On long run days, I don’t count containers at all but that’s up to you (don’t count nutrition that you take during a run, i.e. Gu, if you decide to count containers on these days). If You’re Low on Time, Skip Cardio. If you’re incredibly motivated and have a lot of time, you are more than welcome to include Cardio (and Plyo if you’re doing Extreme) into your weekly routine. I personally rarely have time for the two cardio workouts each week and intentionally skip them. The cardio workouts aren’t true cardio though – they include body weight strength training as well – so you will be building muscle from them in a way you won’t get from running. If you have a lot of time and energy, don’t skip these! Double Up. In order to run 4-5 times a week and do 5 21 Day Fix workouts per week, there must be double days. This doesn’t necessarily mean you’ll be working out morning and night every day though. I generally try to do the Upper Fix and Yoga workouts on the same day as a run which does mean I’m getting in two separate workout sessions. But I typically do a back-to-back 21 Day Fix workout at least one day a week, which means I’ll do Pilates and Lower Fix and skip the cool-down of one of the workouts and the warm-up for the next workout which saves me about 5 minutes in total. The entire workout is 60 minutes this way but I’ve checked 2 days of workouts off the list before I even get to work. Schedule 21 Day Fix Around Your Races. This is a it harder if you’re joining one of my Challenge Groups since you’re at the mercy of my scheduling, but ideally you’ll have your race one week after you complete 21 Day Fix and give yourself a week of recovery before hopping back in. If your race is shorter – like a 5k or 10k, you can easily do it during 21 Day Fix and just take a day or two off before the race to recover (or do move Upper Fix to the day before the race). I also tend to skip any leg strength training a few days before a race, but not always! For example I ran the Fast Times 5k with extremely sore legs and still ran it faster than the Carlsbad 5000 which I ran several weeks before on fresh legs. Obviously, these weren’t goal races for me. If you’re going for a PR, don’t do ANY 21 day fix workouts the week of the race. Don’t Be Afraid to Mix Up the Order of the Workouts. Though the workouts are in the order they are in for a reason, don’t be afraid to mix up the schedule in order to fit it in best for you. This could mean the difference between getting in the workout and skipping it completely. If you have a tempo run on Thursday mornings, don’t do Lower fix on Wednesday or Thursday night. You’re more likely to get in the workouts if you make it work for your schedule. If these schedules seem intense – remember that the workouts are only 30 minutes. If you’re doing the 5 workouts a week plus 4 runs a week schedule (about 25 miles per week, you’re only doing 2.5 hours of strength training and likely 4ish hours of running. That’s only 6.5 hours per week. If you’re running 30 miles per week and doing all 7 workouts that’s about 8.5 hours per week. Every week won’t be perfect. Believe me, I don’t get in all the workouts every week and I don’t follow the nutrition plan perfectly. But consistency pays off and in the end, you’ll be building stronger muslces, running faster and feeling great. Have you ever done a strength training program on top of training for a race? How did you balance it? Love this! I think strength training is so, so important…that being said, I didn’t do any formal training while marathon training. Another good way to do it is to find an activity that you enjoy that naturally builds strength–for me, that’s been rock climbing which is a fun alternative to the upper body workouts if you’re not able to be as structured. I’m in for the August group though! Agreed! For me strength training has come in a lot of different forms over the years. I’ve done P90X, then just did yoga, then barre, now 21 Day Fix. I love mixing it up! Glad you’re in for August!! I need to start doing the 21 day fix workouts again. I teach stroller strides which is mostly strength training and I’m training for the Chicago marathon. They are so great! I have yet to try a Stroller Strides class though there are several near my house. Now that I’m working there aren’t any I can go to but maybe one day! So glad you posted this! One of the reasons I hesitated so long to try 21 Day Fix is that my first love is running and I didn’t want to give up or compromise training for a half marathon. I’m in Week 2 of 21DF though and it’s already made me a faster & stronger runner. I am doing the 21DF workouts per the schedule and running 3x per week. I run in the AM and do 21DF in the PM. The days that I run I do Upper Fix, Pilates, and Yoga. So far it’s going really well! I feel so much healthier and well-rounded versus only running. Awesome! Glad it helped and glad you’re liking the program! This is my schedule too!! Would you adjust your eating plan just on the days your run or every day? I have been doing Beachbody programs for a year now and I am so happy with my results. As much as I don’t need to lose anymore weight I am not seeing much change anymore , could it be because I should up my bracket for eating? I run about 15 to 20km a week. Hey Kelly! I’d definitely recommend upping your bracket. Are you already working with a coach? I’d love to have you join my next accountability group which starts July 17th! At least half my challengers are runners! So glad I came across this post (I came looking for your post today comparing Fix to Extreme) and randomly saw this and was delighted to read it!! I love seeing how it’s balanced, and I kind of miss having double days. Not looking for an ironman level double, but I’m so lax about strength when I get into running more heavily. Especially when I’m sort of winging my strength… it’s easy to skip rather than to cobble together a random workout in the living room. Glad it helped!!! Excited for you to join in August. Thank you for posting about this! I just started 21 day fix and I used to a runner. A few years ago I ran a half marathon. Since then I moved in with my now husband, got a sendentary job, and got married. Lots of life changes have pushed my motivation to the side unfortunately. I would love to start running again and train for a 5k this fall. How do I join your challenge group? I’m sorry for the delay – I’ve been on vacation! Ill email you about the challenge group. Really helpful post,, I love seeing how it’s balanced, and I kind of miss having double days. Not looking for an ironman level double, but I’m so lax about strength when I get into running more heavily. Thanks for the post. Hey! Congrats on your PR!!! That is incredible! And your ability to do all the workouts on top of peak marathon training is great too. I definitely think you’re ready for Extreme! Are you currently working with a Beachbody coach? If not, I’d love for you to join my Nov 7 challenge group! Hi – I’m curious, if you are going to combine a 21 DF workout and a run in the same day/same session, which do you do first, the running or the strength training? I’m looking at following your 4-5 day run/5 day 21 DF 1 day rest schedule, so I’m really asking about the day that has the Lower Fix and a Run in it. Thanks for posting this. I just got the beachbody on demand and was debating between the 21 day fix extreme or Chalean Extreme and doing only the strength workouts from Chalene. I typically run anywhere from 20-30mpw, right now its closer to 30 with a half coming up January 22. I love my running and my problem is making time for both! This morning I ran 4 miles and did 21 day fix dirty thirty extreme. I loved it. I love that the 21 day fix is only 30 mins but also own PiYo and love Chalene! I want to try both. I’m sure I will at some point, but I may have to renew my subscription after the 3 months so I can do all of Chalene’s workouts! Decisions decisions! I typically do my long runs on Saturdays, also haven’t done workout videos for a while but do have beach body on demand. How would you change the Saturday/Sunday runs? Also should I do 21DF first or 21DFE? I just ran a marathon so my cardio is decent. Hey Cory! I usually do my long run Saturdays and yoga on Sundays to help recover. I personally like 21 DFE better! Hi, I’m new at the 21 day fix, waiting for my package. I’m training for a half with 3 running days during the week, long run during the weekend. Will one of the schedules you mention work and should I increase containers on the runing days? Hi. P90x has always been my favorite but now I am thinking I will try 21 day fix on BB demand. I will be running the Marine Corps Marathon in October (my 5th) but I have slacked off any training except running since the fall. I need something now while I am still in the “preparation” stage – following the Hal Higdon Personal Best 30 week training plan. I ran 11 miles last week and my pace was 11.08 – 2 years ago it was 9.30 – I want to go back to 9:30 or even lower. I do love the plyometrics, yoga and leg work-outs in the P90X. Do you recommend I do that again now or 21 days fix or the 80 day Obsession? Hey Cathy, I just sent you an email! Thank you!!! I know this blog is old but I was looking for ways to incorporate my running and do the 21 day fix. I’m 5’10 136lbs and it had me on the lowest calorie bracket. I run 7 miles on most days and on the third day I fainted….I need to up the calories. Hi! I was doing 21DF videos and training for my half marathons pretty consistently for about two years ( I would mostly do the full body videos on my non-running days rather than doubling up), but I switched up my routine not too long ago to take a sanity break… I am looking to get back into it now, but am curious how you continue to progress when doing the same workouts over and over. Do you just keep buying (or using if you have access to a gym) heavier and heavier dumbbells? I have gotten mixed signals from trainers and other people I’ve talked to about needing to be “in a gym” to truly build muscle and get stronger. Just curious if this type of conflict is something you’ve ever dealt with! I just start doing other beach body programs (I have beach body on demand so I can access them all) and switch it up and then I’ll go back to 21 Day fix later. Variety is key!! And yes using heavier weights is smart too. Let me know if you want to join an accountability group! Thank you for this info. I just started Liift4. I run too and enjoy half marathons and full marathons. I thought adding strength will help my running. I have been eating on plan A and b, but the scale hasn’t moved. I think I need to go up to C.